(Women – Models). [Norine Fournier Lattimore]. Dolores—The Woman of Tragedy! London and New York: Pacific and Atlantic Photos, 1929. B/w press photo, 7 x 5 in., agency stamp and caption verso, minor toning and surface wear, caption on brittle newsprint. Known as “Dolores,” Lattimore was a British actress and artist’s model. Sculptor Jacob Epstein called her “The High Priestess of Beauty” and she lived with him (and his wife) for two years in the 1920s. Like Epstein, she was involved in many scandals, including her third marriage, to George Lattimore, an African-American lawyer and sports manager who founded the team that won the first Colored World’s Basketball Championship. 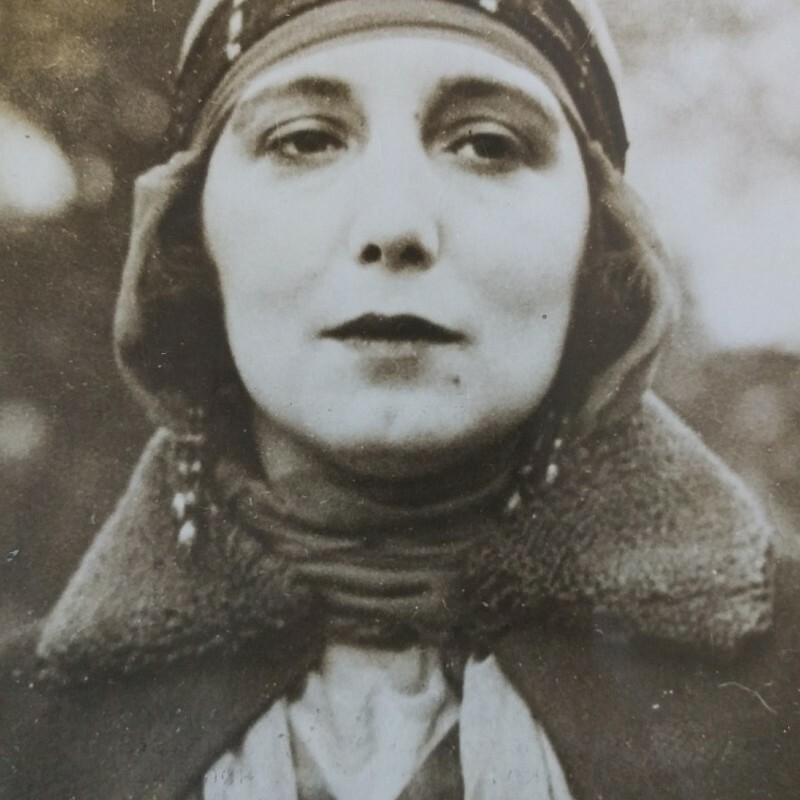 This photograph was offered by P&A to accompany stories about the suicide of artist Frederick Atkinson in January 1929. 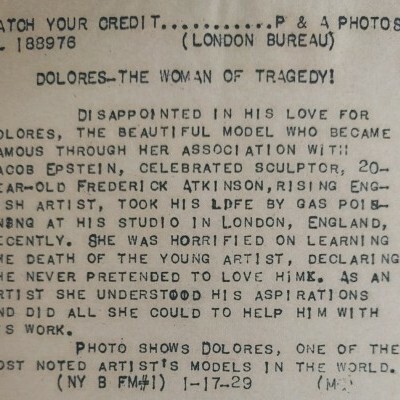 Atkinson reportedly took his life after Dolores took his money (and left him for another man).